I am a power-lifter, an amateur, but a power-lifter none the less. As a power-lifter I am very aware of what I consume for food. It is that awareness that creates the narratives for my work; with a dash of humor. When I got out of college I was overweight. I was around 260 lbs. and it was not muscle. I had always weight trained but I ate terrible foods so there really wasn't much benefit. So when I paint these food items more often than not they are a relic, a reminder of my former self. Don't get me wrong, I do love a good cheese burger, but I am not going out every night and eating two of them. My paintings are like a diet regimen to me. If I were to eat the donuts, cupcakes I paint everyday; they would not be precious to me anymore and I would feel that it should not be a source for my paintings. It is that preciousness that I hold dearly to these food items. I may not give them the detail and clean renderings of a realist painter, but the reason behind painting food is more important to me, I believe than another painter who paints food out of mere response to create a likeness. Aside from painting food, I select bodybuilders as my figure them of choice because I relate to them. I do admit there is a little admiration for the physical appearance, but I do not let that be the source or reason for why I paint bodybuilders. Envy would be a shallow reason for a body of work. My reason is more about admiration, an appreciation for the sacrifices these individuals have to go through to achieve that physical body. I know how many hours these bodybuilders spend at the gym because I am there at the gym with them. When I get to the gym they are lifting, and they are still lifting when I leave the gym. So I have much respect for these individuals. It is this respect that draws me to use them as a source material for my painting. I liken painting to power-lifting. Both are the activities of the self, both have a sense of accomplishment. 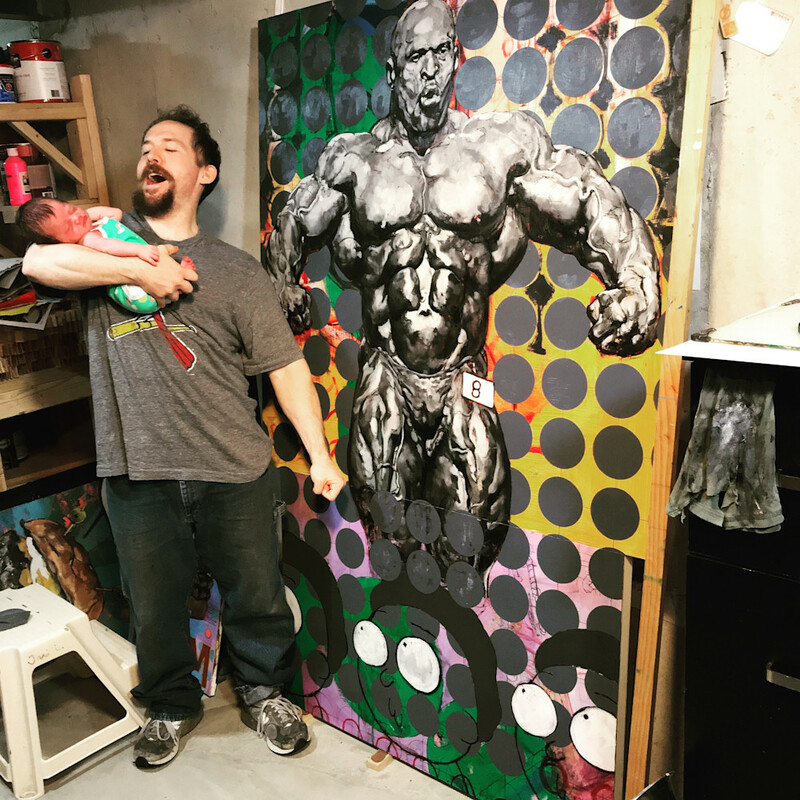 I get the same excitement when I finish a painting as I do when I put 500 lbs on my shoulders and squat. Both are equally important and both are necessary. 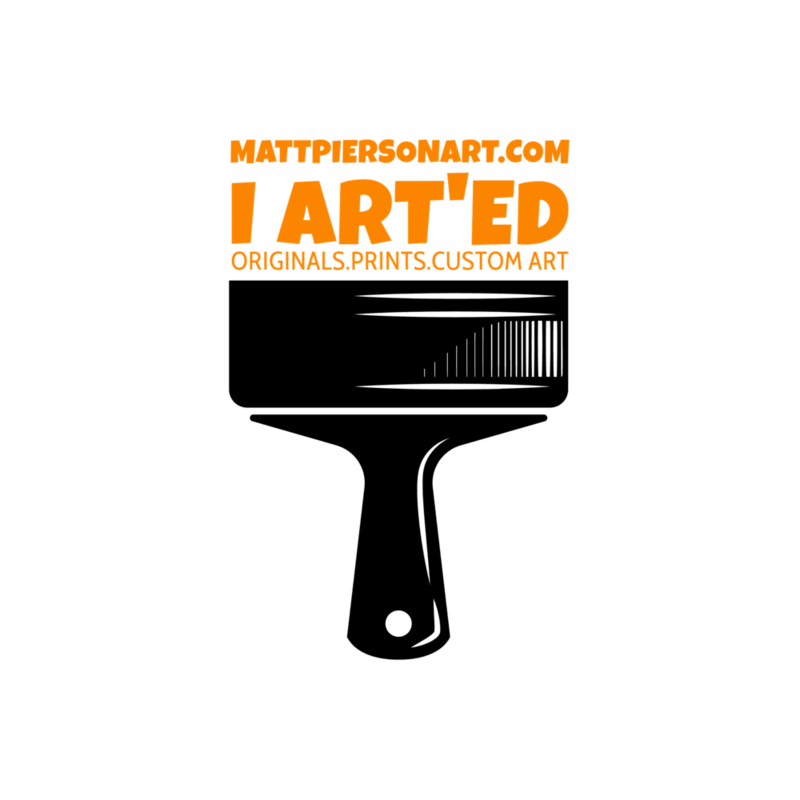 © Copyright 2019, MattPiersonArtworks, Inc. All Rights Reserved.